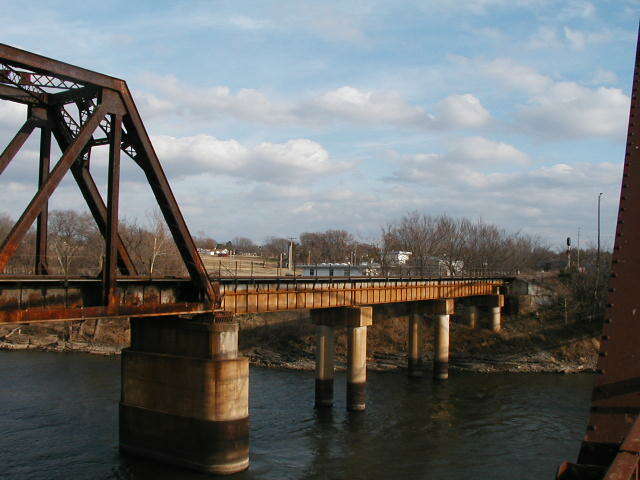 Built in 1923 by The Virginia Bridge & Iron Co., of Roanoke, Va, this impressive 2-span through Pratt bridge crosses the Grand River at Fort Gibson. Below, a view through the bridge. 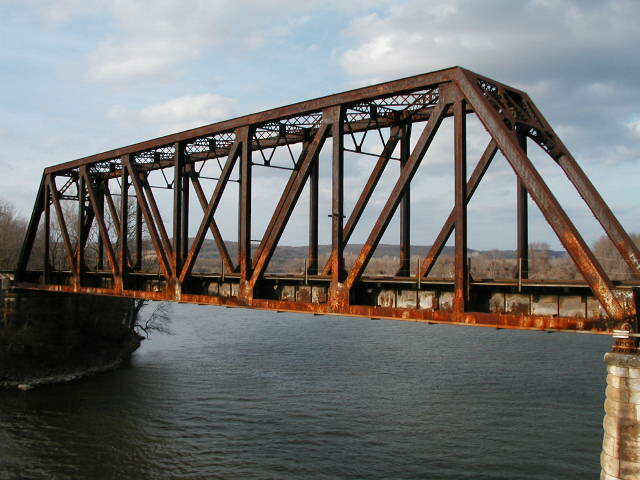 The 1926 road bridge can be seen at the left. Below, an angle view of this massive bridge. 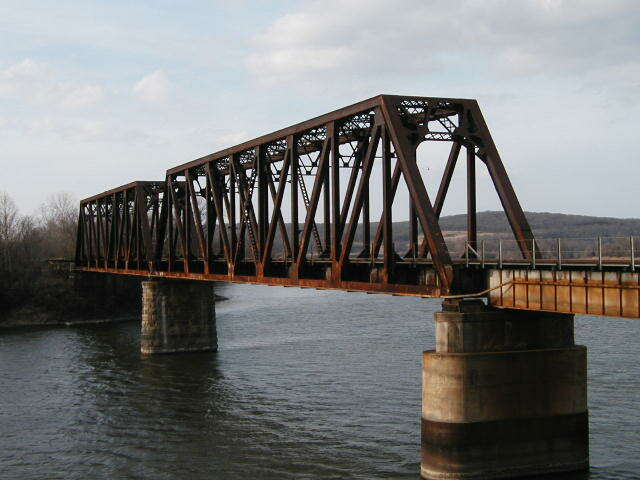 One span is 8-panels long, and over 200' in length, and the other is 9 panels long and probably 220 feet long. 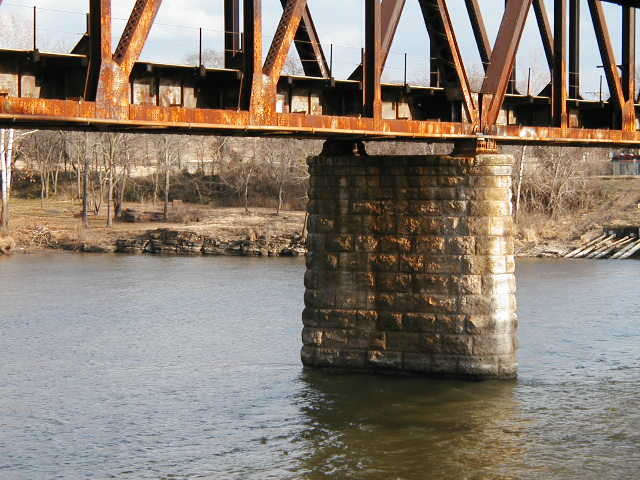 Above, the stone pier between the two spans. Below, the 8-panel span. Note the size of the members. Heavy coal drags on their way to a power plant use this bridge. Above, detail of the west end of the 8-panel span. Below, the center two panels of the 8-panel span. 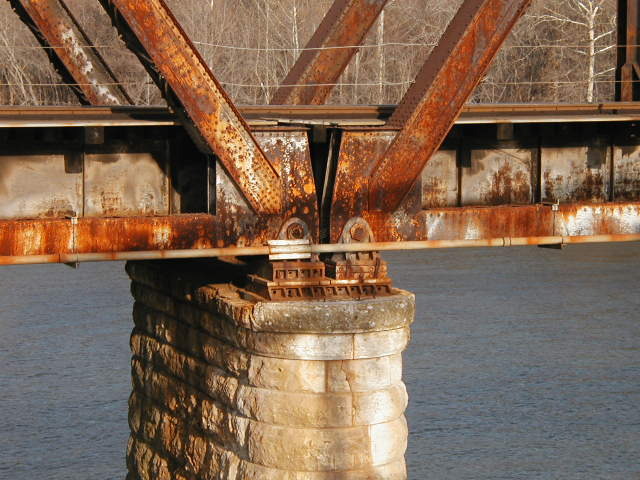 Above, detail of the end of each span. 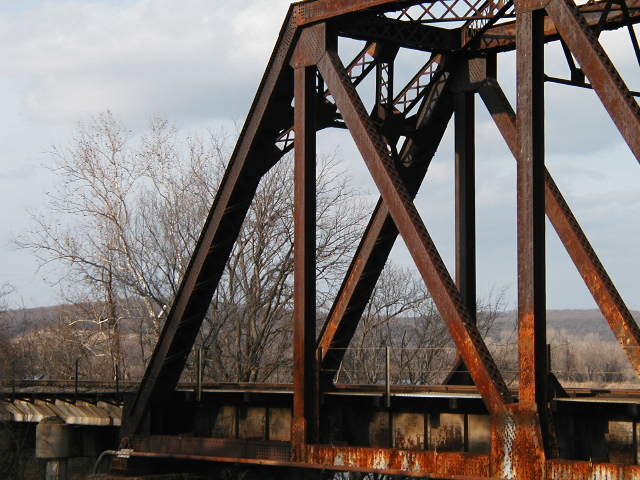 The members of these spans are very large. 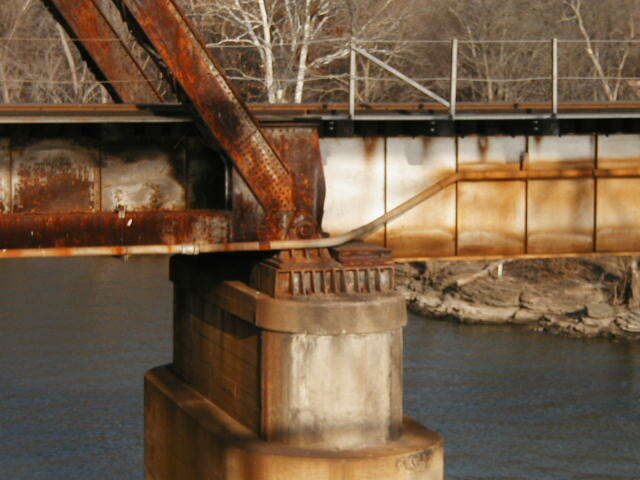 Note the remnants of silver paint on the steel. 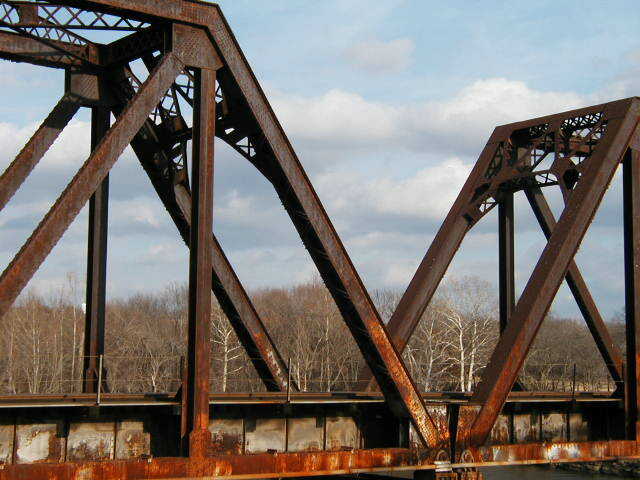 Below, detail of the east end of the 9-panel span. 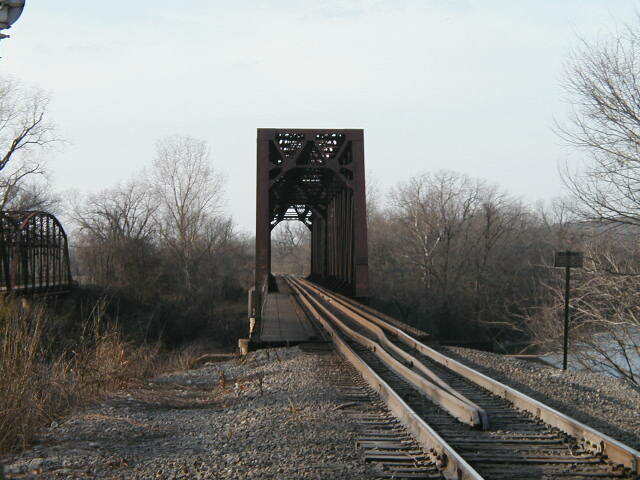 A welded deck-girder approach is located at the east end. 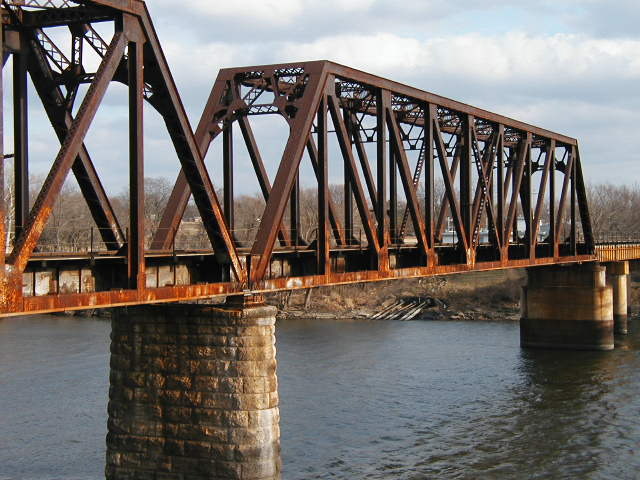 Above, another view of the ends of each span. 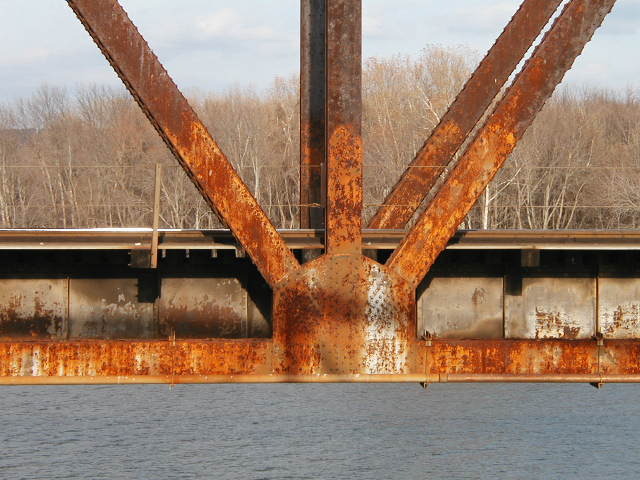 Below, close-up of the center connections on the 8-panel span. The lacing on these members is actually made up of channels. 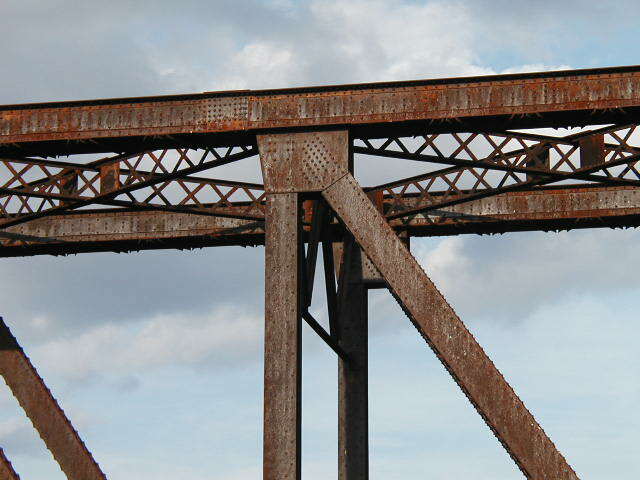 Above, detail of connections in upper chord of 8-panel span. Below, a side view of the 9-panel span. The center panel has a laced X. Above, the east approach. If you look, you will see that the east abutment is also stone. 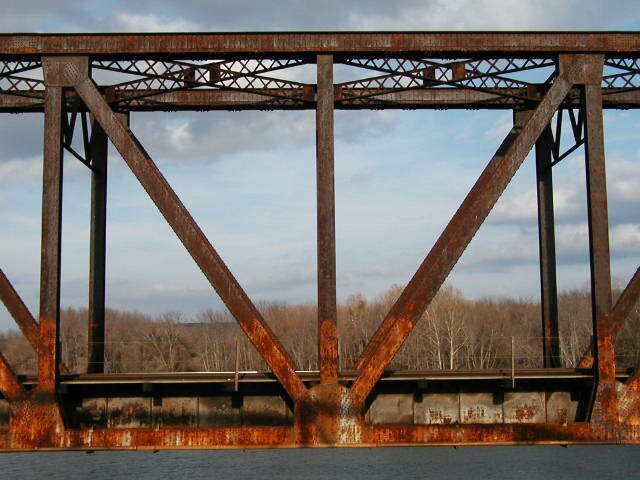 We believe that a third truss span once spanned from the abutment to the pier supporting the truss span. The pier is concrete instead of stone, suggesting that it was rebuilt. 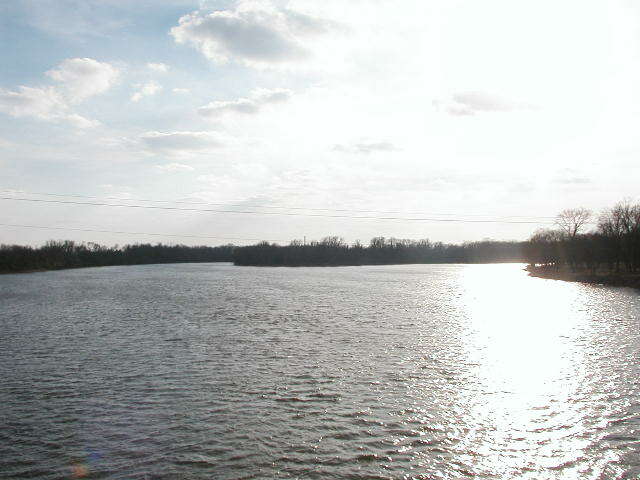 Below, a view of the Grand River looking south.